Your Traditional Jeweler for the Future. Post: Your first and most important tool as a jeweler. Post: What is the weight of potential? Post: I can't do that. . . The history of diamond cuts can be traced to the late Middle Ages in Europe, and before that in Asia and what would become India and the Middle east. At first in Europe the octahedral rough crystals were popular as they had a shape that could be easily set into jewelry. Many times, they would have colored foils glued to the back to give them color. About the middle of the 14th century in Europe, gem cutters were discovering how to simply shape diamonds. 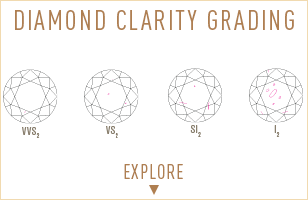 As technology improved, you could also see improvements in the shapes of diamonds. By the 18th century, diamonds were being cut that would take advantage of the particular properties of the gem to better reflect light back out of the gems. It was shortly after the budding science of optics was beginning that a young diamond cutter by the name of Marcel Tolkowsky sat down and using math figured out the optimal proportions and symmetry to best cut a diamond. This was in 1919. It was another couple of decades before technology could catch up and the equipment existed to cut diamonds to these exact dimensions. This is what for many decades was called the "Ideal Cut". At that time, fashion and people who could afford diamonds preferred more color and less brightness than we do today. 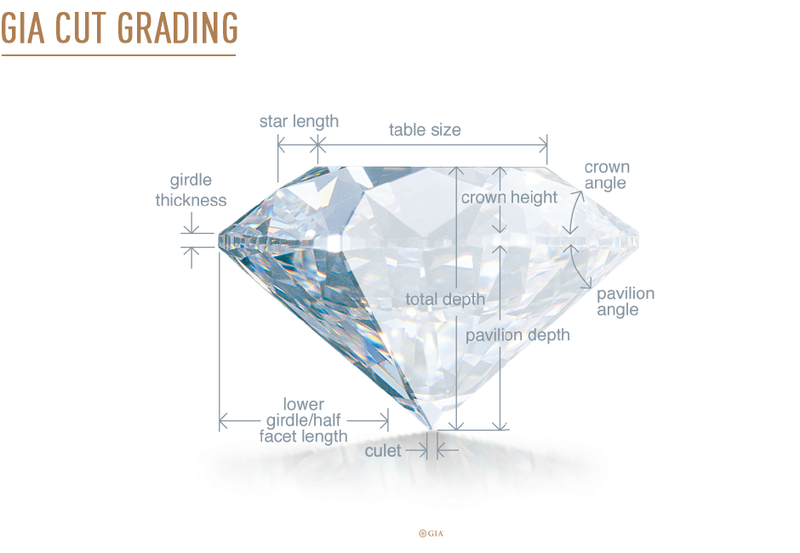 The original "Ideal Cut" had a table that was only about 53% or the width of the diamond. 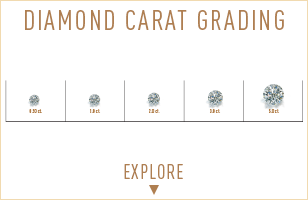 Today, most ideal cut diamonds are in the 58% range for the table. GIA in the late 1990's started a project to Mathematically model a diamond with a computer. The goal was to determine what is the best way to cut a gem. They discovers that with only slight changes in symmetry, there is no one "perfect" cut. 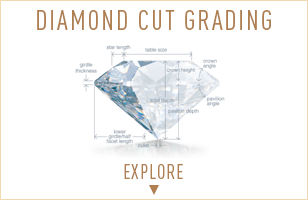 A diamond's cut is crucial to the stone's final beauty and value. Of all the 4Cs, Cut is the most complex and technically difficult to analyze. Light that is reflected back to your eye through the table of your diamond. This is what you see as the brightness of the diamond. The spectral colors of the rainbow. this comes from the light being reflected back and forth from the facets that surround the table. it is this light that you see as all the colors of the rainbow. This is the sparkle. In a well cut diamond, this is what causes that "POP" that people see from across the room. Remember that diamonds reflect light better than most gems, and the Scintillation you see is from changes in the position of the light source, the diamond, and your eye change. GIA also takes into account the design and craftsmanship of the diamond, including its weight relative to its diameter, its girdle thickness (which affects its durability), the symmetry of its facet arrangement, and the quality of polish on those facets. My informational pages about diamonds and the 4C's. Legal Notices – All Rights Reserved.